For Burnley supporters, yesterday’s home victory over Cardiff City means that it is now safe to breathe out. The doubts, anxieties and frustrations that have haunted Clarets’ fans throughout the current season have now all but dissipated. Mathematicians will no doubt point to that fact that Burnley’s current total of 39 points may still be overhauled by yesterday’s opponents, but statisticians will calculate the balance of probability and conclude that such an eventuality is unlikely in the extreme. With the best will in the world, it is hard to envisage Burnley gathering many more points from their last four matches. It was always going to be a pre-requisite the Clarets would need to secure safety before embarking on the final EPL run-in. A few weeks ago, Burnley lost at home to a Leicester team reduced to ten men for the vast majority of the game. At that time, I could foresee no possibility of Premier League survival. 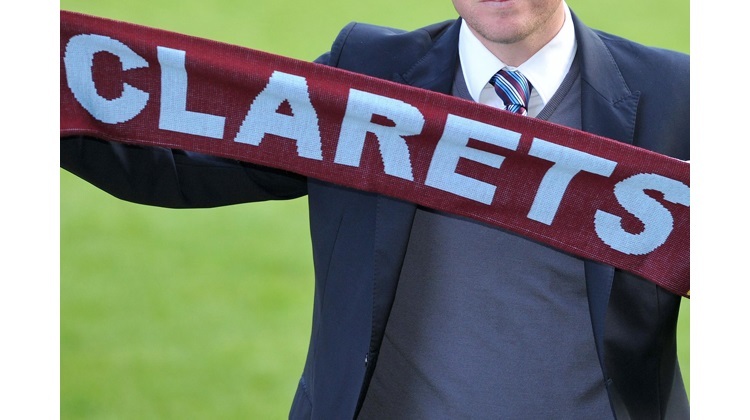 But three consecutive victories since those dark days have pulled the Clarets clear. In a way, the third of those victories was a cut and paste copy of the first, against Wolves; Burnley taking a first half lead, absorbing pressure during the second half and then securing the points with a late goal courtesy of some Dwight McNeil brilliance. But such a perfunctory description would gloss over a high-tension, feisty and controversial match which began with much riding on its outcome for both teams. Cardiff were undoubtedly up for the challenge; their volatile and confrontational manager Neill Warnock, would insist on nothing less, and given their league position they had little option other than to engage in open battle. A well drilled and physical Burnley team coped well with the challenge throughout a first half where the Clarets were clearly the better team. Chris Wood headed against the post early in the game and Ashley Westwood failed to convert twice when through one-on-one against Bluebirds’ keeper Matt Etheridge. At such times, one’s thoughts turn to the prospect of those wasted chances returning to haunt the Clarets. But after half an hour, McNeil’s whipped in corner was headed in by Wood and those thoughts were quickly banished. The pivotal point of the game, however, came early in the second half; Ben Mee headed an attempted clearance against his own arm. Referee Mike Dean pointed to the penalty spot, then overturned his decision after prolonged consultation with his assistant. Conventional wisdom seemed to concur that the correct decision had been arrived at, however bizarrely, but that was little comfort to an incandescent Warnock in the Cardiff technical area as he berated the hapless fourth official. For a while thereafter the game took on an angry aspect; tackles flew in, there were altercations, finger-jabbing exchanges and even a kiss from Ashley Barnes on Joe Bennett. Who says there is no longer any romance in football? On a different day, Cardiff might well have been awarded two other penalties, for a shot struck hard against Mee’s arm from close range and a Charlie Taylor tackle in which he made just enough contact with the ball. One sympathises, but given similar injustices suffered by Burnley during the course of the season, not too much. Once things settled down, Cardiff pushed ever harder for an equaliser, but their lack of a cutting edge was apparent and obvious and as the game rolled into stoppage time their efforts became more and more desperate. This resulted in Cardiff over-committing and allowing Dwight McNeill to breakaway down Burnley’s left wing. A more seasoned and calculating player would have taken the ball to the corner flag and dwelt there for as long as possible. Instead the impudence of youth carried a zestful McNeil past the Cardiff full-back and into the Bluebird's penalty area where his low cross was deflected into the path of Chris Wood. The New Zealander swooped and nodded in his second goal of the afternoon, probably his easiest finish since just last week. Joy and relief coursed around Turf Moor in equal measure and barring a statistical shift of seismic and utterly improbable proportions, Burnley will be playing their football in the English Premier League once again next season. All in all, Saturday afternoon at a packed Turf Moor provided a satisfactory outcome to a difficult season for everyone concerned with Burnley Football Club.